Looking for an instant Data Count? We have just the tool for you, a basic version of the Geolist© Radius System is available at this link. If you're looking for more powerful features then click here to register for the full Geolist experience. Geolist is a web based tool which enables businesses, digital marketers and non-commercial enterprises to deliver national marketing power with all the precision of a local campaign. Use on-screen tools to select an area using basic shapes and polygons. Mail is addressed generically, for instance, to ‘The Occupier’ 'The Resident/s' or ‘The Manager’. Geolist is a complete solution for geographically based direct mailing communications. Working with expert engagement agencies as well as directly, Geolist enables precisely targeted communications to be mailed to communities up and down the country. Communications help housebuilders, developers, retailers and routine maintenance planners to consult effectively with communities and engage with local politicians, stakeholders and the media. 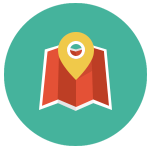 Geolist is an innovative web based marketing tool which takes the leg work out of direct marketing and allows businesses to accurately pinpoint their target market within any localised area in the UK. Using cutting edge satellite tools combined with Royal Mail's Postcode Address File (PAF), Geolist can locate homes and businesses within a specific area! Precise targeted local data increases sales and leads in direct marketing campaigns. Focused marketing Prevents wastage and duplication - saving you time and money! Register Free Register for free with Geolist. Essential tool To enhance your marketing campaigns.